There is a myriad of ways to assess young swimmers. Each swim school has a slightly different approach. Some assess frequently, some once per term, others are case-by-case. The team at AUT Millennium Swim School are always looking for ways to be better. From up-skilling teachers and structured programmes, to recognising excellence and acknowledging student progression, we are now focusing on how technology can help improve the swimming journey. A number of our staff have been working very hard behind the scenes to create a swim school app to enhance our processes and deliver an exceptional experience for both caregiver and student. Launched in February 2018, the AUT Millennium Swim School app is designed to streamline assessment methods to efficiently track children’s progress. This is achieved by digitising the assessment process to offer members an in-depth and up-to-date representation of their child’s swimming journey. 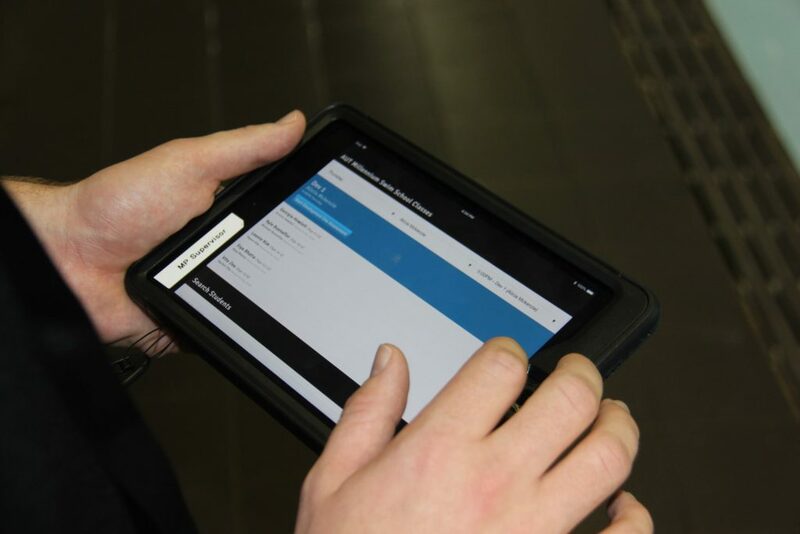 In May 2018 we finished testing the first version of the app, with more than 350 successful assessments! 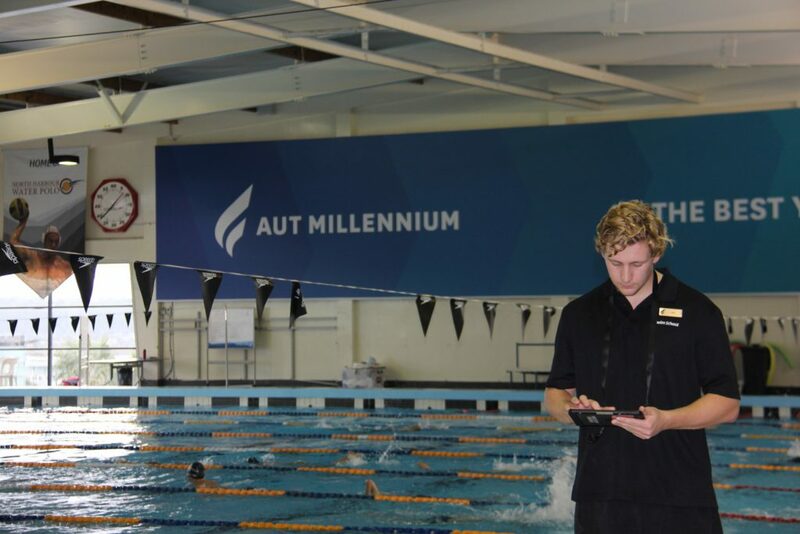 The first version of the AUT Millennium Swim School app allows our supervisors and senior teachers to assess children with an iPad, replacing the former paper and pen method. The environmentally-friendly assessment is then automatically sent to the primary caregiver via email. This process is entirely automated, meaning caregivers are likely to receive the assessment results while their child is still in the water! A physical copy of the results is still available on request at Swim School reception. No more assessment weeks, less paper waste and more time teaching. With digital assessments, our students have more opportunity to progress as soon as they are ready. This technology allows us to individually assess all of our young swimmers. With more than 2,500 enrolled, this is a significant undertaking. To further meet the needs of our members, the AUT Millennium Swim School app employs a red-flag system, notifying us when children haven’t been assessed for a while – no one ‘falls between the cracks’. What does this mean for our Swim School families? A permanent, personalised record of progress, efficient assessments and innovative technologies for the learn-to-swim journey. The AUT Millennium Swim School app allows our members to be a part of their child’s journey from bubbles to backstroke and beyond. This is just the first step in a very exciting digital journey for our Swim School. With testing finalised, we will pave the way for more digital initiatives in the future. We look forward to progressing and utilising technology to better support our community, foster growth and build a community of strong, confident swimmers.